The theme you use for your business website is crucial, as it will set the tone for your entire online presence. Some themes are just about style, while others also include functionality that can make your life easier. If you’re not using one of the latter options, then running your business website may be more difficult. Uncode is a perfect example of a theme that’s all about empowering you with the tools you need to build a successful website. It includes plenty of features that make it an excellent choice for business sites in particular. For example, it offers integration with several useful plugins, as well as a streamlined site-building process. In this article, we’ll go over five ways Uncode can benefit your business. Let’s get right to it! The site’s main content will usually take up most of the screen real estate, and often there’s also a sidebar and footer. While there aren’t any hard and fast rules when it comes to web design, people usually stick to these simple layouts because they work. However, this doesn’t mean that in order for your site to be functional, it also has to be dull. Instead, you can grab visitors’ attention through the smart use of design fundamentals, as well as the occasional bold choice. Even if you’re not a designer, you can easily achieve this in WordPress by using a theme that provides you with plenty of styling options. In practice, this gives you near-total control over how each of your pages looks. This versatility can give you a leg up over other websites in your field. After all, plenty of businesses use outdated designs, dull themes, or overly-complex (and confusing) layouts. 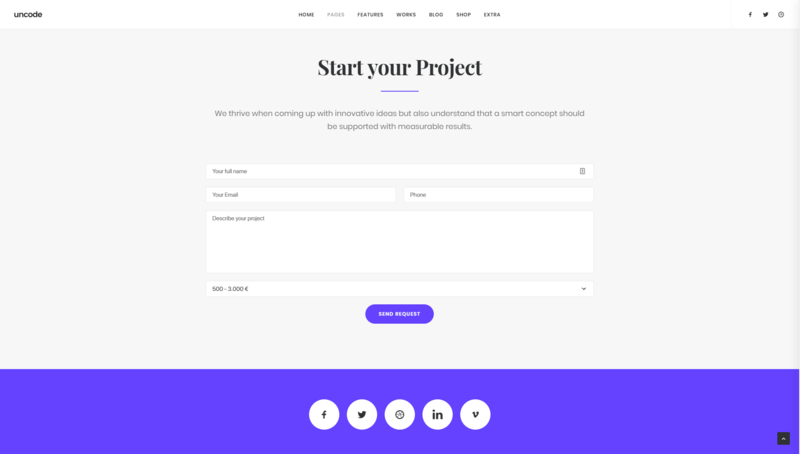 What’s more, while they might need to hire someone every time they want to make a small change or update, with Uncode you can tweak your site’s design in minutes. Most importantly, a stylish and professional website signals to visitors that your business should be taken seriously, whether it’s a small operation or an established name. Branding plays a huge role in most web designs. If you take a look at some of your favorite sites, we’re willing to bet that most of them include their logos and brand colors on every page, and that’s not a coincidence. Most businesses have a collection of key elements that make up their branding. This might include a logo, a color palette, a tagline, a unique voice used for textual content, and so on. The more you can incorporate these elements into your website, the more clearly it will reflect your unique niche and style. Moreover, Uncode even lets you include ‘switchable logos’ that will display depending on what color scheme you choose. As for your other branding elements, these are also easy to include on your site’s various pages. You can edit each element that you include in your designs, and configure them to use the colors and imagery you want. After that, it’s just a matter of making sure everything is consistent throughout your site. Making sure your website is properly branded can take a while. However, Uncode enables you to cut that time down significantly, so you can get your site up and running faster. The clearer and more prominent your branding is, the more likely it is that visitors will remember your business, so this is a smart investment. A lot of businesses set up websites primarily to collect new leads, and to share information with their target audience. If you have a good-looking site with powerful branding, then it’s very likely visitors will pay attention to what you have to say. As for collecting leads, on the other hand, you’ll need more than just style to get you there. When it comes to generating conversions, the quality of your content and Calls To Action (CTAs) is what makes the most difference. Let’s say, for example, that you’re creating a one-page website to promote your business and start up a mailing list. In that scenario, your site will probably focus on upselling your business and explaining how it can benefit your visitors, so when they get to the end of the page, they’ll be happy to share their email with you. However, keep in mind that CTAs can be much more than just buttons. They can include images, simple text, “Read more” links, and pretty much anything else that prompts users to take a specific action. You can even include CTAs in your menus. Uncode includes pre-built elements that help you create CTAs in just about any form you can imagine. This means that no matter what kind of CTA you want to add to your page, you can do so in a matter of minutes, and then customize it to suit your exact needs. One of WordPress’ main selling points is its plugin system. Out of the box, WordPress provides you with the tools you need to set up a functional website. However, plugins elevate the platform to another level, by enabling you to add almost any feature you want to your site (often for free). Uncode was built with these types of plugin integrations in mind. For example, its page builder enables you to add Contact Form 7 forms to your pages with ease. Contact Form 7 is one of the most popular plugins of its kind, and is a highly flexible tool. Of course, that’s just one example of the integrations Uncode supports. 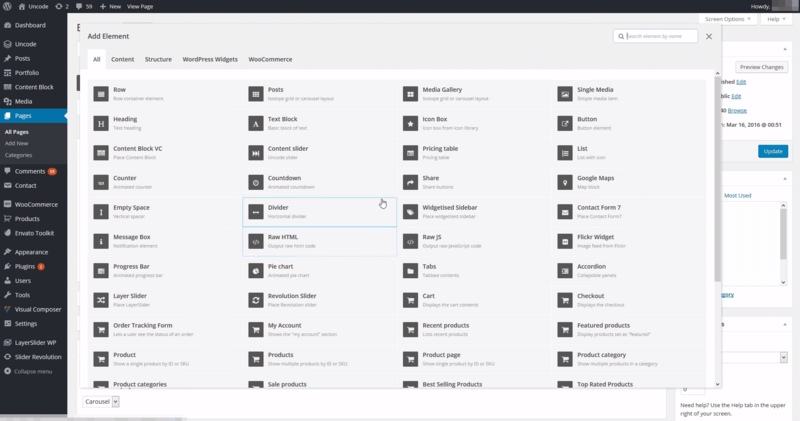 Our theme also works seamlessly with WooCommerce, Slider Revolution, Layer Slider, and I Recommend This. The WooCommerce integration in particular is vital if you plan to sell products or services online. At some point, every website runs into some kind of trouble. Your server may go down, the process of updating a plugin might break your site, or a change you make could backfire. Fortunately, WordPress is easy enough to troubleshoot in most cases. However, if you’re running a business website, then you need to make sure it runs smoothly 24/7. After all, any downtime can impact your conversions, and make your business look unprofessional (which can be even worse). On top of that, the Undsgn blog is a constant source of tips and tricks for how to get the most out of Uncode. If that isn’t enough, remember that as an Uncode user, you can submit a ticket at any time and ask for help from our team. Chances are high that we’ll be able to help you out quickly, so you can get back to running your business! You need to be comfortable with the theme you choose for your website, because if everything goes well, you’ll be using it for a while. That’s even more relevant for business websites, since stability is key to providing an excellent customer experience. Provides you with the tools you need to put together a unique and stylish website. Helps you integrate your branding throughout your site. 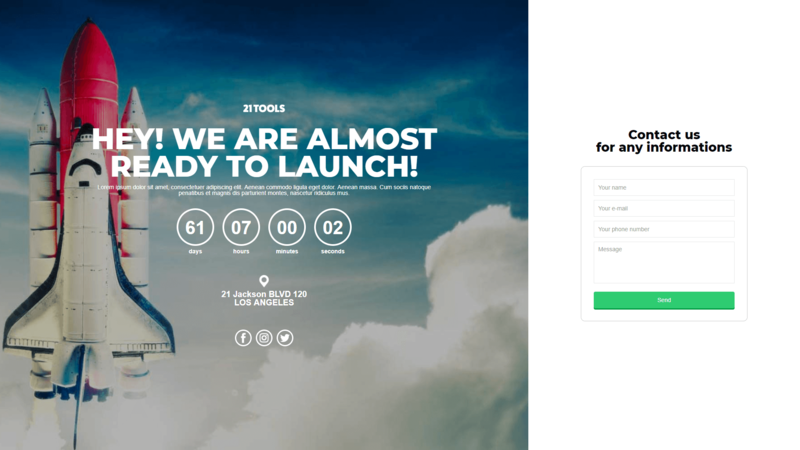 Includes multiple features that enable you to build powerful CTAs. Integrates smoothly with a lot of key WordPress plugins. 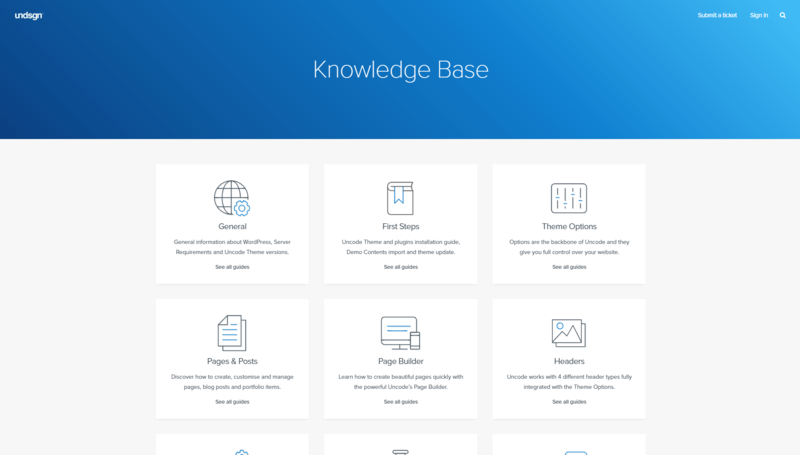 Gives you access to dedicated support and a thorough knowledge base. Do you have any questions about how you can use Uncode to create your business website? Let’s talk about them in the comments section below! Uncode WordPress Theme gets 40.000 sales on ThemeForest!